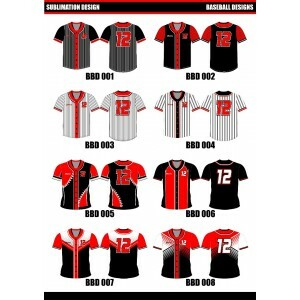 Matai Sports custom produce a wide range of Baseball Uniforms, Softball uniforms, officials uniforms, supporters clothing and club merchandise to help promote your club and help identify individual teams. We have researched our fabrics extensively to create softball and baseball uniforms that are cool, breathable and provide a high resistance to stains and pilling. Partner this with our on trend custom designs and we can assure your club or team uniform stands out from the rest. If you’re looking for some inspiration or feeling creative take a look at our Design Your Own section. Here you can select a design, add your team colours, add numbers and names and upload your sponsor logos in a few easy steps before saving or placing your order. DISPATCHED IN JUST 3 WEEKS! FEATURES Modern sublimation Women’s style polo Set in sleeve Fabric ensur..